Throughout the pages we generate we frequently have a few achievable possibilities to expose as well as a number of actions that can be eventually taken concerning a specific product or a topic so it would be rather helpful in case they had an easy and handy approach styling the controls behind the visitor having one path or another in a small group with common appeal and styling. 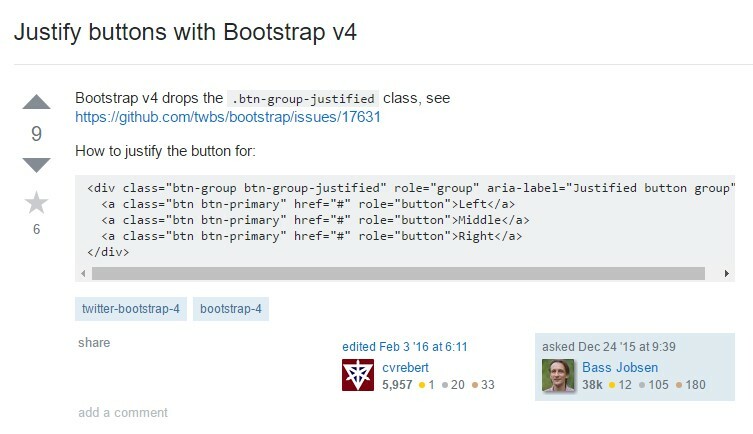 To take care of this sort of cases the current edition of the Bootstrap framework-- Bootstrap 4 has complete support to the so knowned as Bootstrap Button groups active which in turn commonly are clearly what the full name explain-- sets of buttons enclosed as a specific component with all the features in looking basically the similar so it is really uncomplicated for the site visitor to choose the right one and it's much less troubling for the eye because there is no free space among the particular features in the group-- it appears as a individual button bar using many different possibilities. element or else nest a group within another just to add a dropdown component inside the child button group. 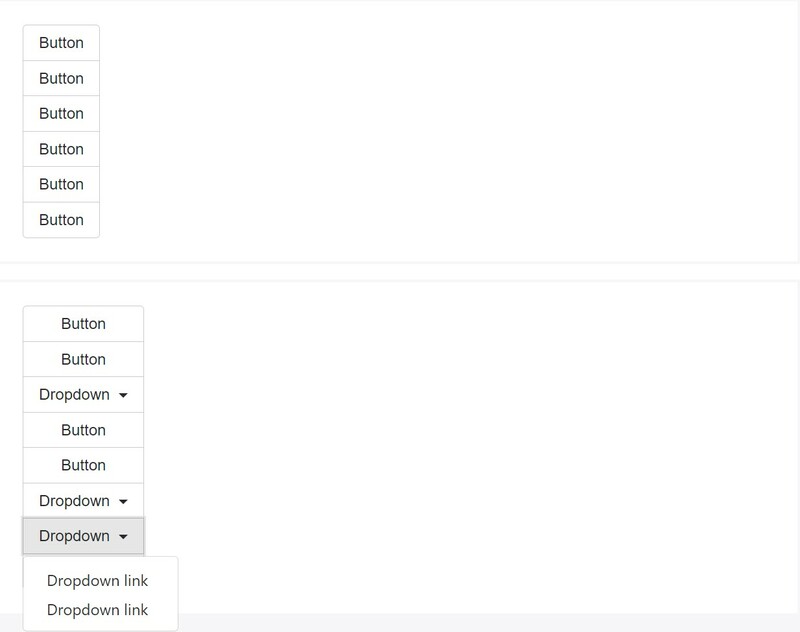 Incorporate sets of Bootstrap Button groups panel right into button toolbars for additional complex elements. Apply utility classes just as demanded to space out groups, tabs, and more. Feel free to mix up input groups together with button groups within your toolbars. Much like the good example just above, you'll probably demand certain utilities though to place items effectively. Make a group of buttons show up up and down stacked instead of horizontally. Split button dropdowns are not actually sustained here. component and removing the text message inside it with the result that just the small triangle arrow remains. Basically that's the method the buttons groups become generated through the most well-known mobile friendly framework in its recent version-- Bootstrap 4. These can possibly be quite handy not only showcasing a few possible alternatives or a courses to take but additionally as a additional navigation items coming about at certain places of your page featuring regular visual appeal and easing up the navigating and complete user appearance.